As October ends, so continues another season for me of reflecting, and reminiscing. Another great legacy was left behind this October. One of those men God used to redeem my view of clergy after multiple shattered images early in life. Footprints that have been left in the sands of thousands of lives across this country. 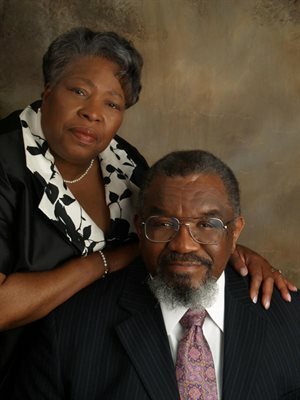 Dr. Eddie Lane, a professor at Dallas Seminary and advisor to African American students, was the first faculty member I connected with after being accepted. I remember my first time in his office – his look of concern over this 23 year old woman, younger than his daughters, who left the comfort of all that was familiar and safe back in Chicago. He smiled, reassured by her firm resolve. Provided advice on succeeding in school (and financing it). Offered his and his wife’s assistance if ever she needed it. Later, he pastored her – giving her opportunities to lead and express her gifts, confidence that she could do such things, and encouraging and advising her in matters of the heart. I remember him jokingly threatening to call DTS once to take back my degree when I protested teaching a class because of my insecurities. He saw what I could not. Dr. Lane was a man of great character, who enthusiastically taught the Bible, spoke his mind, and loved his family. He loved his wife, and she respected him – together they not only championed “reclaiming the village” in the African American community, they modeled it. I am forever grateful for the footprints they left behind in my life. I remember him once quoting a friend of his, saying that he prayed that when he one day got to heaven, he hoped that he wouldn’t look upon God’s face and realized he trusted Him for far too little. He now knows…Rest on, Pastor Lane and rejoice!